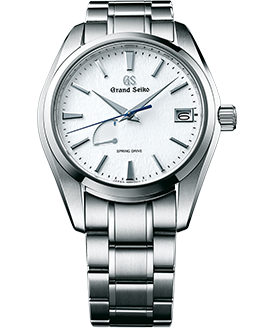 Through its subtle design aesthetic and precision, Grand Seiko has always pursued the true essence of time since its birth in 1960. This year, Grand Seiko returns to Milan Design Week with the theme “THE NATURE OF TIME,” held from April 9 to April 14, 2019, at the Poldi Pezzoli Museum located near Via Monte Napoleone, the street central to Milan’s high-end fashion scene. The exhibition will focus on Spring Drive which marks its 20th anniversary this year. With its innovative mechanism, Spring Drive brings to life the continuous flow of time shown with its signature glide motion seconds hand. To be one with time and the environment has been an integral aspect of Japanese identity and sensibility. This idea and the pursuit to express the essence of time is central to Grand Seiko, and the word “nature” in its two meanings, i.e., “essence” and “environment,” is reflected in its watchmaking and the exhibition. Teaming with Toshiki Kiriyama of TRUNK LTD., as the producer of Grand Seiko’s exhibition for the second year in a row, are contemporary design studio “we+,” and computer graphics director Shingo Abe. An installation and art object portrays the concept of continuous and gradual change over time. 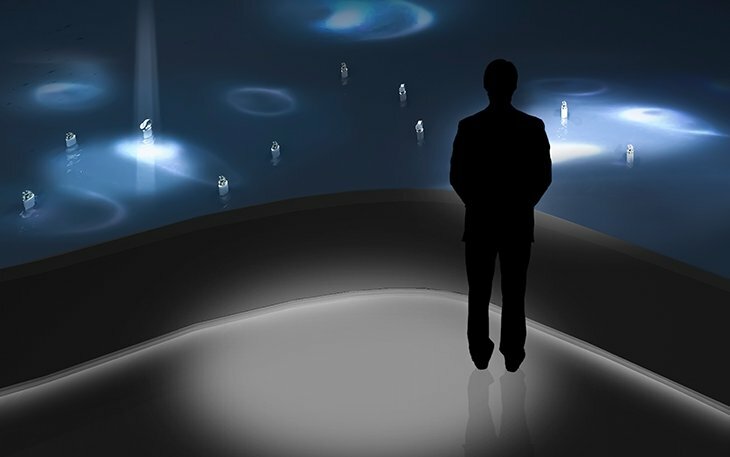 The installation uses a special liquid, which, when a soft light is reflected, allows its motion to be visible. The light gradually dissipates with time as it spreads across the liquid surface. A palm-sized glass object is an embodiment of Spring Drive as a micro-cosmos, a crystallization of craftsmanship and Japanese sensibility, and the essence of time all within a single watch. The dome-like object contains disassembled parts of a watch which mingle in soft glowing powder, as its luminescence slowly fades with time. Like the gentle falling of snow and the smooth flow of a river, the “perception of time” generated by the serenity of Spring Drive’s glide motion is visually represented in computer graphic imagery, taking visitors on a small journey to a faraway place. In spite of the historical architecture of the museum, the exhibition hall envelops visitors in a soft cocoon-like atmosphere. It is made possible by a “Koyori” washi paper, a delicate yet sturdy hand-made paper surrounding the corners of the hall allowing visitors to enjoy a uniquely Japanese sensibility and beauty. Spring Drive is an innovative technology of Grand Seiko that combines the power derived from a mainspring with the high accuracy of a quartz crystal, making it possible to deliver the one-second-a-day precision that no other mechanical watches can achieve. After over 20 years of development, Spring Drive was introduced in 1999 as a revolutionary mechanism characterized by ultimate energy efficiency and the smooth glide motion of the seconds hand.